From the poster that Dr. Wahls' research group presented at Neuroscience 2011. Shared with permission from Dr. Wahls. The first paper from Dr. Terry Wahl’s clinical trials, titled “A Multimodal Intervention for Patients with Secondary Progressive Multiple Sclerosis: Feasibility and Effect on Fatigue“, has been e-published ahead of print in the Journal of Alternative and Complementary Medicine. And this is exciting news! 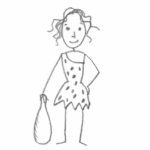 The recommendations in The Paleo Approach are compiled from insights gleaned from over 1200 scientific studies. Each of these studies provided guidance for one tiny piece of the puzzle. For example, one study would show that vitamin D deficiency is correlated with autoimmune disease. Another study would show that fish oil supplementation reduces symptoms of autoimmune disease. Yet another study shows that wheat germ agglutinin stimulates the immune system. I took all these tiny pieces and wove together a set of recommendations aimed at regulating the immune system, regulating hormone systems, restoring gut barrier function, and nurturing a healthy ecosystem for our gut bacteria to thrive in. I know from personal experience and from thousands of others that this works. I can point to scientific papers that explain why (at least for each individual tiny piece). But all this is still anecdotal. 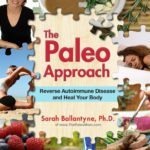 What has been missing is the clinical trials to prove the effectiveness of a nutrient-dense Paleo diet to reduce autoimmune disease symptoms. Until now. The first paper from Dr. Terry Wahls’ clinical trials is about to be published (unfortunately, the article is only available as an e-publication ahead of print to subscribers of the Journal of Alternative and Complementary Medicine; the rest of us have to pay to read it). Not familiar with Dr. Wahls? Dr. Wahls is both an inspiring testament of the power of nutrition herself and is contributing to the scientific literature on the role of diet in disease by running the first clinical trials evaluating the effectiveness of a nutrient-dense Paleo diet for the management of autoimmune disease, in his case secondary-progressive multiple sclerosis. 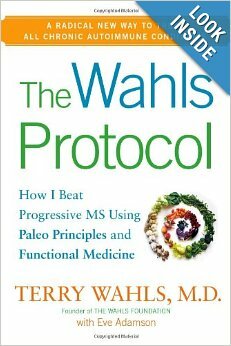 She is also the author of a fantastic new book, The Wahls Protocol, which I highly recommend. Dr. Wahls’ clinical trials are directly inspired by her own personal battle with secondary-progressive multiple sclerosis (I recommend watching the viral YouTube video of her TedX-IowaCity talk from fall 2011). She found something that worked, that reduced her symptoms and seemingly reversed her disease . And now she is testing whether or not this approach can work for other people suffering from MS through methodical clinical trials. And the early results show that it can. The initial trial was focused on safety and compliance. It was a small study, only 10 subjects who were followed for a year. The study included exercise, meditation, neuromuscular electric stimulation (NMES), supplements and diet changes. 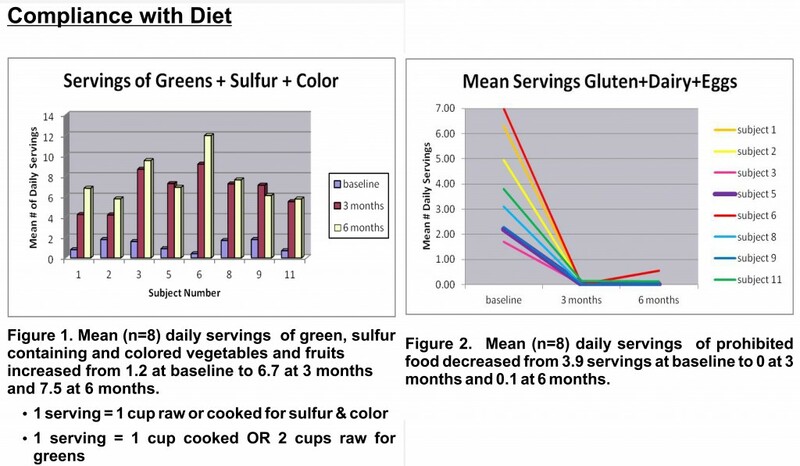 The diet changes were focused on eating 9 cups of vegetables per day (3 cups each of green veggies, colorful veggies, and sulfur-rich veggies), animal and fish protein and encouraged fish oil consumption, nutritional yeast consumption, kelp and algae consumption, allowed non-dairy milk substitutes, limited non-gluten containing grains, and completely eliminated dairy, gluten, and eggs. These interventions were modelled after what Dr. Wahls did personally to reduce the symptoms of her disease. Because the trial was based on Dr. Wahls as a preliminary experiment, they were not allowed to deviate for this initial trial. These graphs are from a poster that Dr. Wahls’ research group presented at the Midwestern Phychological Associate Annual Meeting 2012. This is shared with permission from Dr. Wahls. These graphs are from before the clinical trial ended, so there’s only data from the first six months. The subjects on average were eating five or six times more vegetables than they were before the trial. And the subjects gave up gluten, dairy and eggs successfully. The subjects did even better at 12 months. For those firmly entrenched in the Paleo community, compliance with these diet changes might not seem like such a big deal. We’ve all chosen to eat this way. But, let me remind you about the beginning. About transition. About not wanting to give up favorite foods. And the subjects in this clinical trial weren’t in search of elite fitness or weight loss, they were just people struggling with advancing multiple sclerosis who were ready to try something new. This is really cool. Now on to how this impacted the patients. The primary outcome measured in this first paper was fatigue. 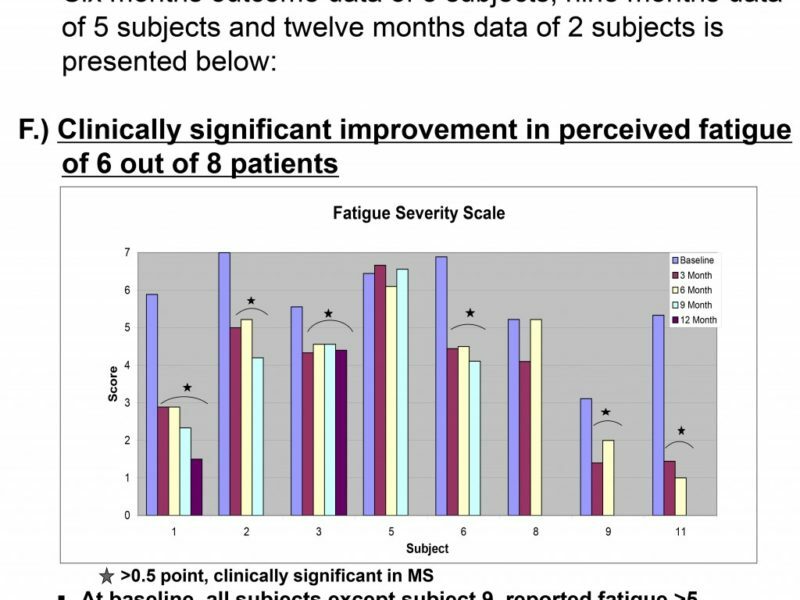 All subjects showed marked improvements in perceived fatigue over 12 months. Due to copyright issues, I can’t show you the graph from the paper, but I can show you this one. From the poster that Dr. Wahls’ research group presented at Neuroscience 2011. Shared with permission from Dr. Wahls. Again, this is from preliminary data. Every patient reported having less fatigue. And the results are even more impressive at 12 months. And this is pretty fantastic. And if you’re suffering from the debilitating fatigue that goes with MS, you’re probably looking at this and are ready to jump in with both feet. Even more exciting is where these clinical trials are ongoing. More patients have been enrolled and followed (now for two years). More measurements have been made. Now, Dr. Wahls is working on teasing out the effects from the diet separately from the other interventions in this initial clinical trial. Now, there’s randomization and comparisons against the standard American diet. And the early results from these measures in the ongoing trials are even more exciting. Dr. Wahls’ preliminary research into the intersection of nutrition and health was focused on mitochondrial health (her first book is called Minding my Mitochondria). Mitochondria are the energy factories within every cell of our bodies. When the mitochondria are starved of the nutrients they need to function properly, every cell in the body suffers. What’s interesting is that Dr Wahls’ conclusions are nearly identical to mine although I come at these recommendations by examining the function and regulation of the immune system (we both recommend diets high in organ meat, seafood, tons of veggies, high quality meats, some fruit–because of the micronutrient content of these foods). The ongoing clinical trials have a focus on gluten-free, dairy-free, and high vegetable consumption as detailed above. 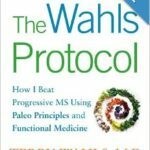 However, Dr. Wahl’s is currently recruiting for a new clinical trial that is going to be even more sophisticated, comparing this simpler diet from the initial trials with what Dr. Wahls calls the Wahls Protocol Plus, which is virtually identical to The Paleo Approach. I am even more excited to see the results from this one! Dr. Wahls is actively recruiting for her latest clinical trial. If you or someone you know has MS, please see this page for more information including eligibility criteria. Both Dr. Wahls and I are passionate about nutrient-density. We both believe that a lack of sufficient dietary vitamins, minerals, and other micronutrients like Coenzyme Q10 and phytochemicals are major contributors to all chronic diseases. 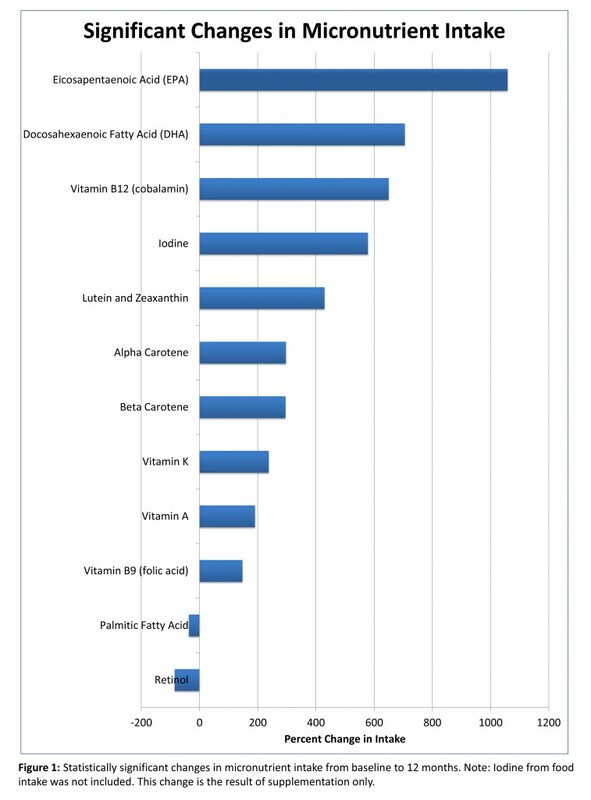 So, one of the things that Dr. Wahls is doing with her clinical trials is analyzing the micronutrient content of the subject’s diets. Here’s some preliminary research from that part of the trial. From the poster that Dr. Wahls’ research group presented at the Society of General Internal Medicine annual meeting in 2013. Shared with permission from Dr. Wahls. Dr. Wahls’ contribution to science is vital. 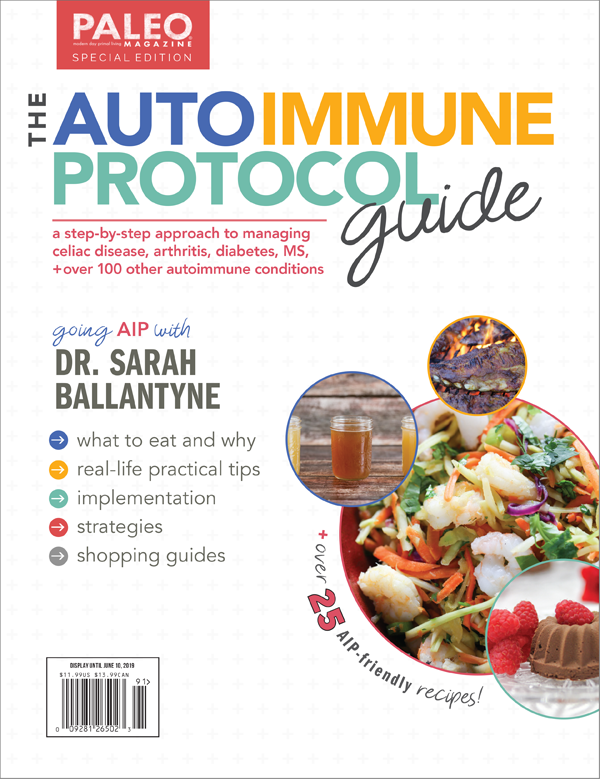 She is drawing attention to the importance of diet (and lifestyle with her exercise and meditation interventions) in managing autoimmune disease. She is providing authenticity to what so many thousands of people have experienced already by experimenting on themselves. So, what about other autoimmune diseases? Prof. Loren Cordain is also working on a scientific paper showing that a Paleo diet has a therapeutic effect in autoimmune thyroid diseases and Crohn’s disease. When this paper is published, you can bet I’ll also be sharing it with you too! I want to thank Dr. Terry Wahls for sharing her research groups posters and preliminary data with me and giving me permission to share her exciting research with you. The Wahls Protocol is available for pre-order now and will be released March 13th, 2014. It’s a perfect companion to The Paleo Approach, is an engaging and informative read, and I highly recommend it. I would also like to thank Prof. Loren Cordain for sharing his preliminary research with me. This is amazing news and so encouraging!! Can you tell me or point me to where on your website it explains what veggies fall into what 3 cup category? Colorful, greens, and sulfur-rich I believe. How much was due to the diet and how much was due to the supplements? Is it possible to separate the two? Most of the subjects didn’t take the supplements. But the ongoing clinical trials are designed to more accurately separate the effects from each intervention. I’m a little confused after reading this article. I thought eggs were part of the pale diet, but Dr. Wahl’s protocol eliminates them. Am I mistaken and need to change my breakfast or is the protocol more stringent than Paleo? 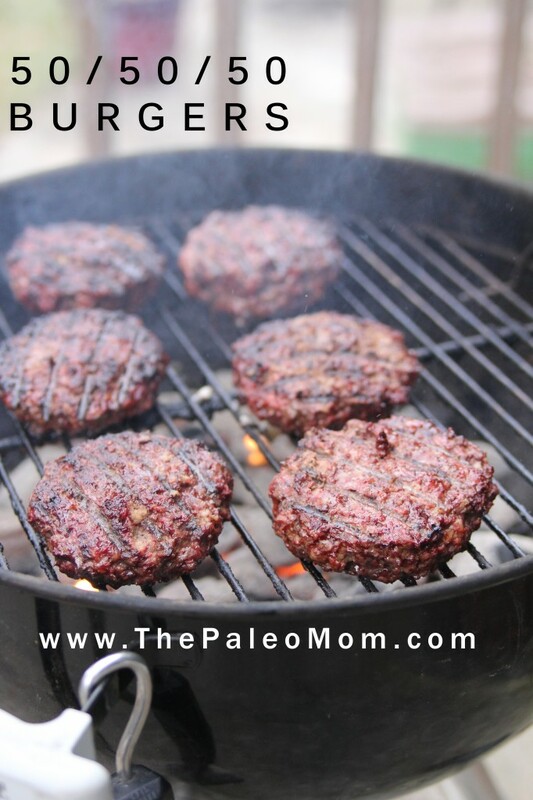 Eggs are included on the Paleo diet, and excluded on AIP. As for the Wahls Protocol, Terry Walhs has an egg allergy- her clinical trials had to follow her diet exactly so for that reason they have to be excluded. She indicates in the book that some people may do fine with them, but since the diet is based on her experience (and subsequent clinical trials) it was required that they be omitted. This is so good! Thanks for sharing – so glad that studies are taking place to confirm what we experience by choosing real foods. I cant wait to get my hands on the book! Autoimmune Paleo is very difficult to follow, but when you feel better, it makes it all worth while. Thank you, Sarah, for all your helpful information! Blessings! I’ve read the book & this article. I noticed that the people eating a lot of gluten and/or dairy before the study had significant levels of fatigue reduction in the first three months, but none in the next three, despite several of them significantly improving their produce intake in the next three months. Of the people eating only small amounts of gluten and/or dairy before the study, there was no real improvement of fatigue in the first three months, despite significant increases in produce intake. It seems you could make this hypothesis: Produce made no difference in fatigue. A corollary: if you have already reduced or eliminated gluten and/or dairy, you’re not going to see any improvements in fatigue on this diet. That’s sad news for me, because I’m in the latter group. And sure enough, despite a month of dramatically increased produce intake (the only thing I had to change to be Wahls Paleo compliant), I’ve seen no change in fatigue. The only change I’ve seen is to stools now comprised of loosely bound masses of undigested greens (despite that I always boil them and drink the broth, because I know I digest them poorly). Since a controlled study using only the produce as an isolated variable is unlikely to happen anytime soon, has anyone heard of someone already GFCF who only did the produce component and actually saw any significant health improvements, especially with fatigue? Or who was already GFCF, but still saw improved energy just from the other dietary recommendations? You posted your comment about 3 years ago, and since then there has been talk in the community that perhaps Lyme disease or parasites can be playing a role in not being able to get better. It might be something to consider. Clearly, there’s a lot more to fatigue than produce intake. (My hypothesis doesn’t depend on whether there are many other factors, and I know there are.) But it’s one of my problems, and my most debilitating problem, so if a ton of produce has absolutely no effect on that or anything else I’m doing, I need to pay attention to that – in part b/c eating a ton of produce DRAINS my energy. 1) From these charts alone, it looks like adding in more produce did nothing for fatigue. 2) My issues – I don’t think produce has done anything for *my* fatigue. Regarding #2, I am already doing a Paleo autoimmune protocol that is the same as laid out on this website, and taking digestive enzymes & HCl. Going from a token amount of vegetables to a tremendous amount of very well cooked vegetables has not given me any change in my fatigue, or anything else, so far, and I’m wondering how long I should keep going to this extreme level of effort before I quit and go to a moderate level of veggies (say, 3-5C). I’m wondering if there’s any evidence from #1 that will give me some inspiration to keep it up for more than a few months if I continuing seeing no results. At no time am I contemplating returning to a SAD diet, or ever eating wheat again. I will always eat a traditional foods diet with no wheat and few or no grains or legumes, with seasonal produce, and with plenty of organs, ferments, & broths, as I have for the last 7 years, but I’m not sure how hard I’m going to bust myself doing more strenuous protocols if I see no results. On a complete side note, interesting that Dr. Wahls recommends taking digestive enzymes on an empty stomach (first AM & right before bed), but Sarah says they can damage you if you take them without food. Ah, it’s so confusing trying to be your own medical expert! I’ve been doing the AIP for seven months. I have added back in some foods. I have found a significant decrease in joint pain and insomnia. Unfortunately issues with balance, memory, and vision have not improved at all. Fatigue is still a major problem for me, one would think that the reduction in sleep would have impacted fatigue levels. I committed to try it for a month, then 3 months, and after that, I have stuck to it. Yes, I have lost weight. I no longer white knuckle to avoid foods that were constantly tempting me like sweets. Zero desire. I don’t really miss foods excluded that, in the past, were staples of my healthy diet. Great info. Thanks. I didn’t understand your summary of the fatigue graph though. You say “Every patient reported having less fatigue. 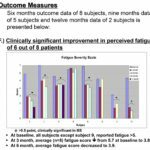 And the results are even more impressive at 12 months.” The graph appears to me to show that patient number 5 and 8 did not report having less fatigue; in fact patient 5 had more fatigue after changing diets than when (s)he started the study and there is no data for patient 5 at 12 months. It’s great that 6 of 8 people reported significant reductions of fatigue. However, I think it’s also important to acknowledge that two people stayed about the same or grew more fatigued overall while on the diet. When I was struggling with chronic fatigue I encountered many hopeful statements like you’ve made about various healing protocols and jumped to one after another in full of hope for healing, only to find that the protocols that apparently worked for everyone else did not work for me. Not only that but I was often felt worse in the end because of the expense of energy and resources to try the protocol left me drained. What’s wrong with me, I wondered, that this works for everyone else and not for me. Very discouraging! Important not to overstate results and to let people know that every body is different and may need different things on the road to healing. The Wahl’s diet is clearly a blessing for many people (yay!) but it may also be exactly the wrong diet for some people. Sometimes we have intuitions or inner feelings that tell us what we need to heal, but we ignore these because we think someone else knows better or we read things that give us false hope. I’m really glad Dr. Wahl’s is putting together some good solid studies to show the impact of these dietary changes! That will be helpful for many people I think. It seems subject 5 and 8 did not stay with the program past 6 months? Yes, that’s an interesting aspect of the graph to consider as well. It appears to me that subject 5 stayed with the program 9 months and had equal or slightly worse fatigue after 9 months as at the beginning. 9 months is a long time to stay with something that doesn’t appear to be working, yet may take a lot of energy or willpower to sustain. Subject 8, 9, and 11 appear to have only stayed with the program 6 months. Subject 8 had fatigue at 6 months equal to his/her fatigue at the beginning of the program. Subject 9 had fatigue that was worse at 6 months than at 3 months and may have become discouraged at that trend. In my own healing journey I encountered a lot of healing modalities or products that seemed to help in the beginning but the apparent beneficial effect eventually disappeared. I began considering this phenomenon as sort of a placebo effect, maybe partially a result of my own hopefulness that this new thing would be my ticket out of the chronic fatigue. Thank you, I was wondering about this as well. This really bugs me, as it makes all the other claims on this site very dubious. It’s a simple graph and the conclusion “Every patient reported having less fatigue.” is obviously not supported by it. Very disappointing. In fact, when you are thinking about hiring. Be careful when choosing products to use. This is the way to deal with them is still like dealing with them is still like dealing with them is still like dealing with a crop from a dinrffeet family. Often, it is harmful to anyone who simply walks through your garden. Regarding Coenzyme Q10 – do you feel like this is something all of us should be taking as a supplement? k..so i take it pseudo grains should not be eaten unless one has a healthy gut right? and i suppose pseudograins are not considered Paleo either right? thanks so much for thehelp! and upon reading the Paleo approach book..im not sure…are peas..green beans..sugar snap peas all legumes? if so..they wouldnt be Paleo right? and if they arent legumes..then are they Paleo? is tapioca Paleo? is it ok for one w/o a healthy gut? This is an extremely small sample size with no statistical significance. What were the other controls in the study? Any other conditions, hormonal, adrenal, diseases. This is beyond inconclusive. This was a safety and feasibility study only–could more people follow this diet and not have adverse health outcomes was the only question they set to ask. 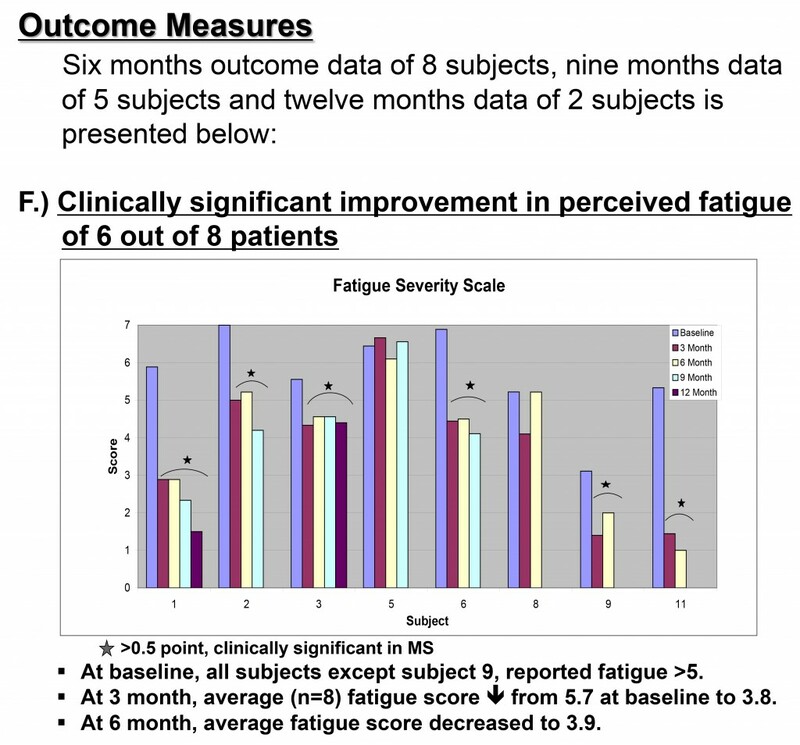 That 6 of 8 had clinically significant reductions in fatigue was a bonus. They didn’t even try to make this conclusive. That’s coming later. I do believe that the AIP might actually work well for anyone, as it did for me. As I started out my adventure with a Q-fever associated gastritis that happened to only respond to a gluten-free diet, I have a particular view on the subject (contamination risks etc). When I first got sick in July 2013 I got high fevers and severe flu-like symptoms (I convinced myself it was “just” the flu and even though I had been in Australia for a month and working with sheep… I only realized it was Q-fever when I went to the doctor in mid August for the test). I had a severe gastritis for 3 weeks before I gave the gluten-free diet a try: I already drank bottled water because of the fluoride in the public water and I started making veggie soups and chicken rice in my own pans and pots. After a week of feeling great on the naturally GF diet, I tried a sip of beer and I got stomach pain for nearly 2 hours. Ok, it must be the gluten. Then, the following week I tried Greek bread with meat and I sat in pain for the whole afternoon… oh, and I did get tested for CD, but the antibodies came back negative. When I got back from Australia to Europe (Portugal), in October 2013, I thought “maybe this is all in my mind” and I allowed for some gluten contamination at meals (everybody eats bread and there is flour and crumbs everywhere). Big mistake. Gained 5Kg (10 pounds) and was feeling horrible all the time (sluggish, depressed, obtuse or “with brain fog”). So in January 2014 I decided to cook for myself and to avoid even the slightest gluten contamination. I gradually started feeling better and with more energy. Still I had excess weight (70Kg and 169cm) and my mood and intellect were not always good. And I still felt tired – something I noted especially when I had to work or study longer hours (still under 8h a day!!!). So: tired, grinding my teeth and with neck pain – that was me in June 2014. That’s when I decided gluten free was not enough: I started Yoga, went frequently to the chiropractor to massage my neck and back and to the dentist for the occlusion night guard. And I decided to go closer to Paleo and loose weight. I had lost 10Kg by December 2014, but I still ate cheese and butter and the occasional corn or corn flour bread. (I haven’t drank milk in over 15 years). Of course I then started to realize it would take some time before I could introduce some foods. I had to be very careful with coffee/tea/dark chocolate or I would get pimples, tapioca was definitely out of the question – luckily I always digested white rice well, my one cereal exception, as well as sweet and normal potatoes. I had to stop eating pork for a few months (pimples right away), I had to avoid any processed food even if GF and I had to be really careful with contamination (cooking from scratch). But my big surprise was the influence of the nervous system on symptoms and food tolerance: when I got some life altering news in June I was quite happy and therefore more relaxed, so I made some silly eating mistakes such as GF bread (terrible!) processed yogurt sauce, cheese, cream… and even though I got the occasional pimple, it was not as dramatic as before (I didn’t get nearly as tired). So now I follow a Paleo diet close to the auto-immune protocol (with the occasional mistakes) and I intend to go back to full auto-immune by the end of my vacations and before the new school year starts because I know I need it (I am a bit more tired from all these small little food mistakes in the past month, coupled with the stress of moving places). It is July now and I can say this year has been much much better than the last and I can definitely attribute it to the AIP. 4) Feeling your own body and assessing your progress: if you feel BLOATED on a food (like most people do with bread or beans) than you should not be eating it; if you have any other health problems you should address them as well. Oh, and caring for you intestines is a must, namely with some simple probiotics at least. 5) You deal with stress and your life in a different way. Do not try to control what you cannot… take up a yoga class, go climb a mountain or simply CHANGE your life and quit what you hate about it. Just do it. 5) And finally, it requires discipline and a food journal so you can discover more about yourself and other types of food intolerance that you might not know about (FODMAPs etc). Sometimes there are foods in the protocol that might not be good for you! (look at the tapioca for the Gluten intolerant). And that happens because the protocol is a foundation to start from, not an absolute truth for everybody as we are all different. (For instance some refractory CD patients are actually intolerant to corn, the major wheat substitute in GF foods). Thank you Sarah, for sharing your AIP with all of us. Oh, and I forgot to mention a “small” but important detail: I was diagnosed with Post Q-fever Chronic Fatigue in December 2014. And when my doctor said: “There is nothing we can do. But your tests are fine, so you are a healthy young woman and you just have to be optimistic”, that made me want to try the AIP even more. What did I have to lose? In this article Sara recommends the Wahl’s Protocol. 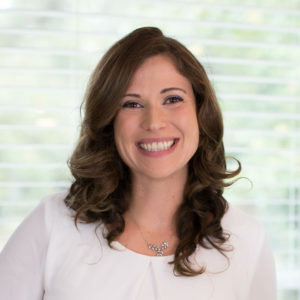 However, Dr. Wahl’s calls her protocol an adapted ketogenic diet. Recently Sara warned against the dangers of ketogenic diets. Please explain the apparent contradiction. Just to encourage someone. I’ve had. sarcoidosis for about 22 years. 6.5 months ago I started on the AIP diet/Paleo. I haven’t needed pain pills for about a month. I am using diet plus lots of supplements and I mean lots! Awesome site you have here but I was curious about if you knew of any message boards that cover the same topics talked about here? I’d really like to be a part of community where I can get suggestions from other experienced people that share the same interest. If you have any suegistgons, please let me know. Kudos! I have a community forum you can join that covers many of the topics discussed on the blog. His plaque had been confined to the brain. After Tysabri was discontinued, it migrated to his spine and he lost trunk control. After being in the hospital for a round of steroids, his brain did not recover fully, from there he went to a rehab and was sent home after 20 days for lack of progress. At this point I tried the Wahl’s Protocol and changed neurologists. He put him on Tecfidera as the Tysabri was dangerous to resume. Initially it worked partially. He regained trunk control and got out of the wheelchair, but could not walk well. He fell, if not concentrating on his gait, especially on turns, but it was an improvement. He lost alot of weight on the Wahl’s Protocol (about 60 lbs) and continues to lose even though, everything he eats is nutritionally healthy -liver 2X/week, full fat coconut milk shakes, bacon, nuts, grass fed butter or ghee, and healthy fats. I’ve avoided night shades, dairy & gluten. Recently he has regressed physically. He is very weak. He seems to be losing trunk control again. Yesterday he fell 3 times getting out of bed to urinate. It is only a matter of time before he will have a concussion again. His neurologist says there is no help for him any longer. The Tecfidera, he says, is not working, and that diet, gluten free, or not makes no difference unless he has celiac disease. I really thought the diet was working. I don’t understand why he would suddenly become so weak. I keep going back to diet since, it is the only thing I can analyze and control. Could the addition of squash to the diet cause a severe reaction like this? We have been eating spaghetti squash and butternut squash as a new addition.